This is the legendary Nikon F. This camera established the SLR as a professional camera option and put the first nail in the rangefinder's coffin. I love rangefinders but since 1959 or so, professionals have almost all moved the SLR. This camera started a trend that lasted for about sixty years, which may be coming to an end with mirrorless digital cameras. Then again, maybe not. 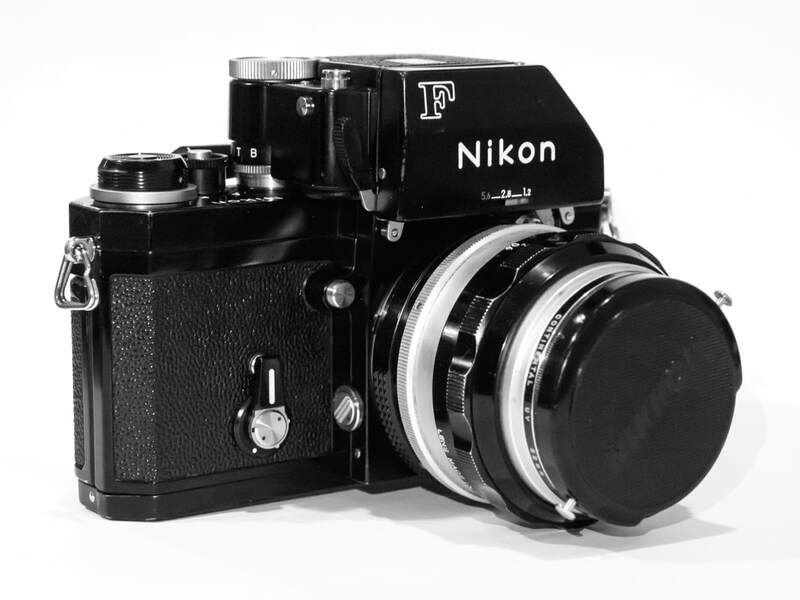 The Nikon F was put on sale in 1959 and continued through 1973 when it was replaced with the similar Nikon F2. The big changes the camera went through during that time has to do with the viewfinder, specifically if and how it metered light. If you want more background information I suggest going HERE. I just purchased mine and how I managed to get it was a bit of a logistical nightmare. Let me go through it just to show how interested I was in acquiring this piece of history. I purchased it on Ebay for USD 309 with a 50mm f/1.4 lens. I sent it to my mother's house in Houston as I could not get shipment assured to Jakarta. There it sat for some time, until a friend was going to travel from Houston to the Eastern Hemisphere. He picked up the camera at my mother's house and then flew around the world, finally ending up in Dubai. Here the camera was handed off to another friend who brought it to me in Jakarta. The camera arrived, safe and sound. My version is a late production camera made in 1972. It is a Photomic (the version of the viewfinder with a internal light meter). The camera below the viewfinder is similar to the Nikon F2 however the back slides completely off to load film. It is a heavy beast and built like a tank, and it had to be, it was going to war with the photographic community to replace the rangefinder in professional's bag. At a time when the best cameras were made in Germany and all professionals used rangefinders or TLR cameras, this was a breakthrough. It combined a series of improvements which kept holding the SLR back. For example, the mirror would fall back into place after the image was shot. 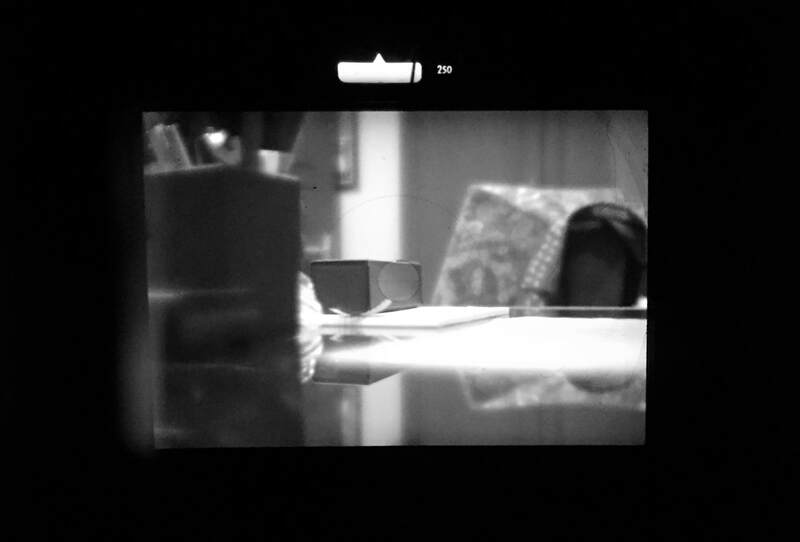 Earlier cameras would fire, but the mirror would stay up until the camera was rewound. The PentaconSix is an example of that style as is the Hasselblad V series. When Nikon launched this camera they has a entire line up of professional lenses with it. They did not want anything stopping the professional photographer. Just as this camera was released, the Vietnam War began and this because the correspondent camera. Tack on the 50mm f/1.4 and you have the correspondent set up. So many of the images we have come to know of that war were shot on the Nikon F.
This is a legendary camera, built like a tank to outlast all other cameras on the market. It helped establish the Japanese as serious camera manufacturers. It is simple to use, and stripped of most bells and whistles. It has a smooth film advance lever, medium sized viewfinder and all of its buttons are easily accessible. Even the light meter reading dial is exceptionally simple design with a little notch indicating proper exposure. ​This is a very reliable camera, the only known issue is in the light meter as these things tend to fail after 45 years. But aside from this you only will ever need one. Mine was recently CLA'd by a very good camera smith and is in wonderful working order. This is a very heavy camera. Yes the build quality is out of this world but this is not a camera to take on a hike. Plenty of good, lighter options are now available but none will last as long as the Nikon F will. The light meter needs to be turned on and off. There is a button on the top of the viewfinder that needs to be pressed to turn it on, and the test battery button shuts it off. If you forget to shut off the meter, it will eat up your batteries. The good news is that other than the meter, everything else on the camera will continue to operate normally. It is a purely mechanical camera. Depending on your tastes, it may not be the most beautiful camera in the world, with a big forehead. It has grown on my however, and I do like it. Forget aperture priority, shutter priority or program mode. This camera is purely manual and fully mechanical. You do not buy a Nikon F for its technology, you buy it for its history and it has that in spades. This camera is a substantial one, which was used by many excellent photographers to capture the war effort. These days they are easy to find and purchase but you should consider getting them CLA. After 45 - 55 years of service they all need a bit of tender loving care. That being said, once done you will have a camera for a lifetime. I would not use this camera on hikes or long distance travels, just too heavy. But I would use it all around the city and enjoy every shot I take with it. To own a piece of working history is a wonderful experience and if you are into it, it will be a joy to own and use. Can you seriously put a price on technology history? Apparently you can. They usually sell for 180-350 USD depending on condition. Stay way from the special collectors versions and buy a working man's copy. Get it CLA and enjoy ever scratch and bump as this camera was never meant to appear new. Can you get more camera for less money? Sure you can, but you would not own a piece of history.